01/01/2013: Ubuntu planning something 'you can almost touch', 'Do not disturb' not turning off for some iOS users, WebOS on Nexus 7s and much more! 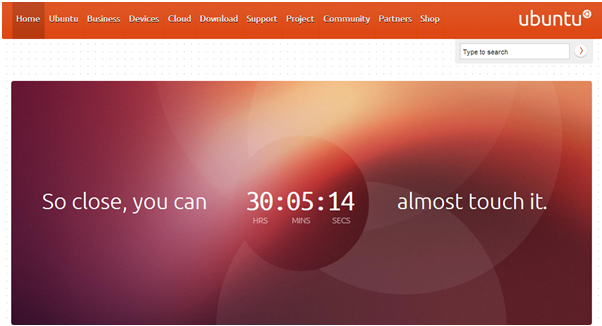 Ubuntu count down to a January 2nd launch: Is it a touch-centric option? 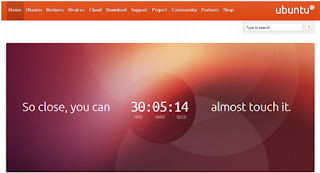 Ubuntu is always towards the top of the list when you ask people about the most popular Linux distributions available. Ubuntu's creator Canonical is also pretty on the ball when it comes to finding the next trends and keeping up with the times; Ubuntu for Android was a great example of this. We'd like to see this turn out to be a touch centric version of Ubuntu which is compatible with desktops and the new touch optimised tablets which would offer a rival OS to Microsoft's freshly launched Windows 8! What do you think this announcement will be? Let us know in the comments below! Apple's 'Do Not Disturb' feature not turning off for some users this morning. After last year's issues with alarms not going off in iOS, until January the 3rd when the issue 'fixed itself', there is another small issue some of you might be experiencing if you use iOS' 'Do Not Disturb' feature. "Woke up this morning and the iOS Do Not Disturb featured which was suppose to be turned off at 6:30am was still on at 8am. Is this a bug or did Apple do this on purpose knowing everyone will be partying out late on new years eve and so gave a little bit of extra time to sleep on new years day :)." Some people have said that turning the 'Do Not Disturb' mode off and on again will fix it but if that doesn't work for you there might be some other work arounds which come to light in the near future and we'll update the post if we stumble across any! Amazon have explained the reasons for the Netflix outage on Christmas Eve which affected their customers in America, South America and Canada. The issue centred around the Elastic Load Balancer (ELB) service which caused the outage. A 'handful' of the 'hundreds' of ELB's Amazon uses suffered an outage and those devices which tried to connect to these ELB's couldn't and so they couldn't access the Netflix service. And finally, Google's hugely popular Nexus 7 tablet has had its very own taste of Open WebOS. The quad-core device seems to have a mostly unstable port so far, but at least wifi and the browser seem to be working pretty well. WebOS Nation said the developer, Simon 'morphis' Busch, behind this port managed to get this much running in his free week off from college, which is pretty good going if you ask us! WebOS Ports has announced that they will build on this work and hopefully we'll see something working fully at some point in the new year.